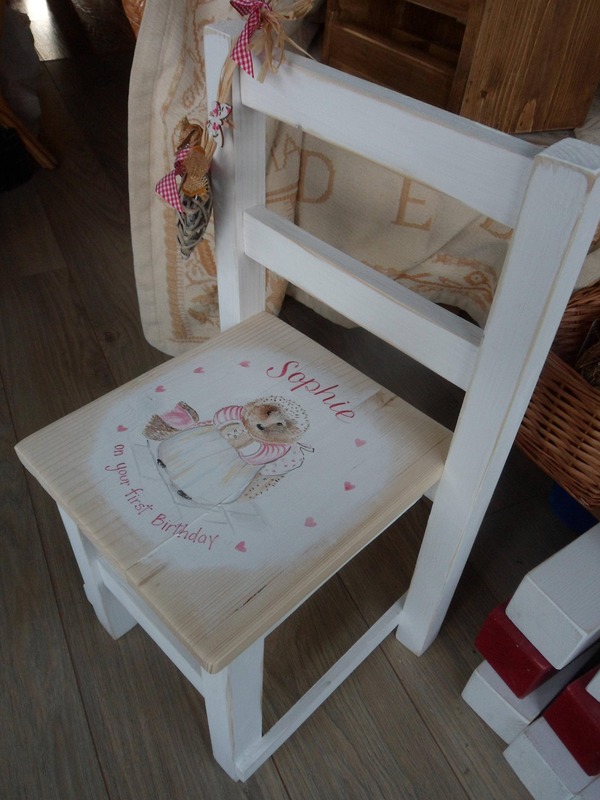 We have hand made shabby chic children's chairs. 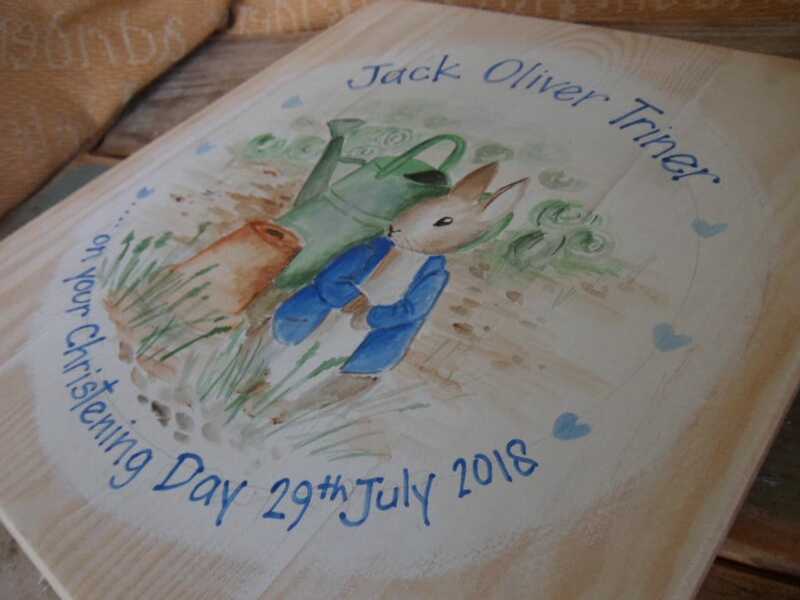 Handmade and sturdy, made from pine timber they are hand painted with an illustration of your choice. 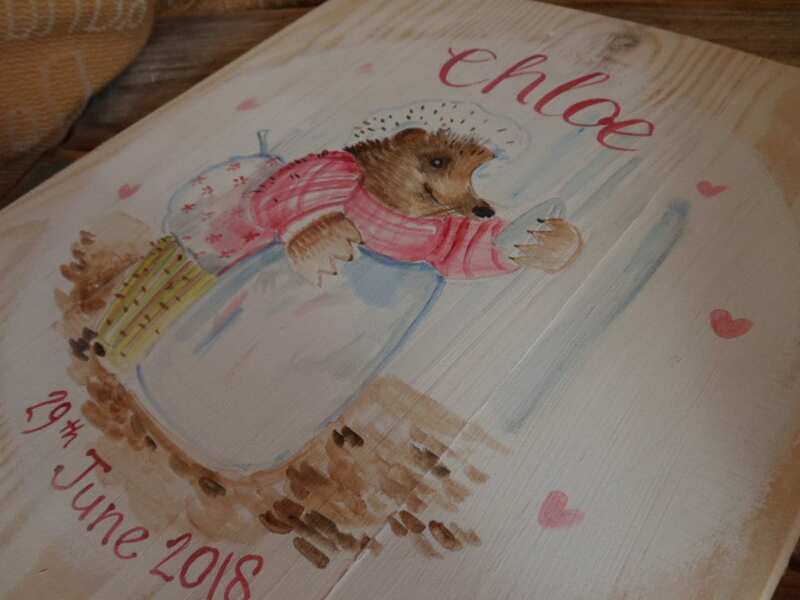 Whether it be something timeless and traditional to something more contemporary they make fabulous keepsakes to mark those oh so important dates to remember. 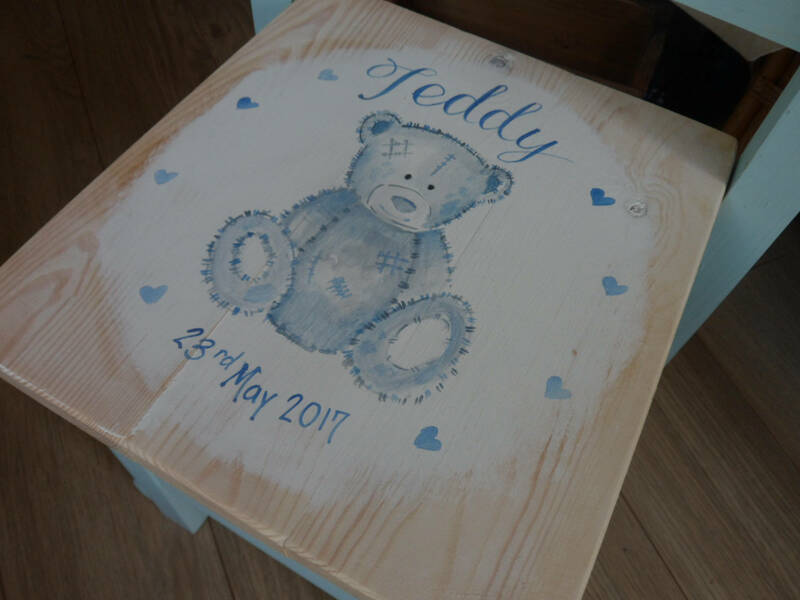 Each chair is lovingly hand made, hand painted and sanded back to reveal the wood grain in a shabby chic style. 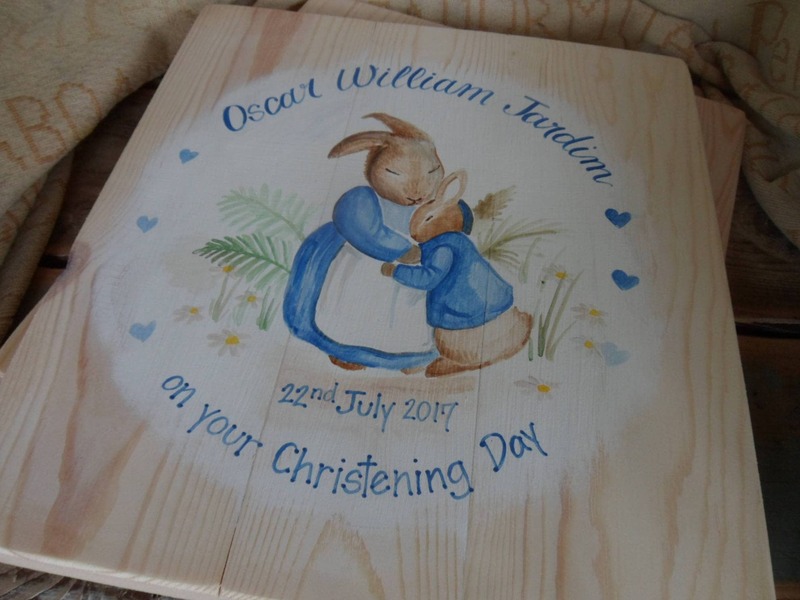 Available in blues and pretty pastel pinks they make a beautiful addition to any nursery. 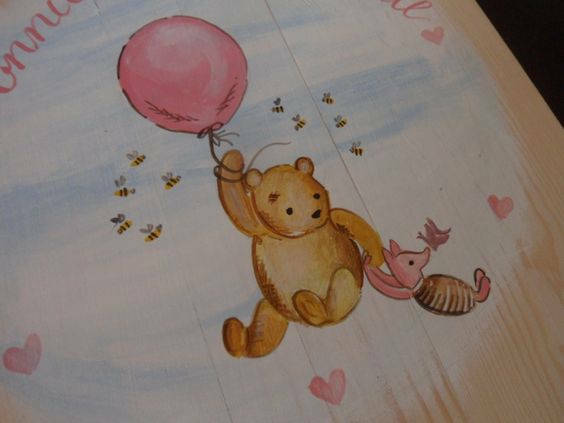 Decorated and finished with a ribbon and raffia heart, star or teddy heads to hang on the back. 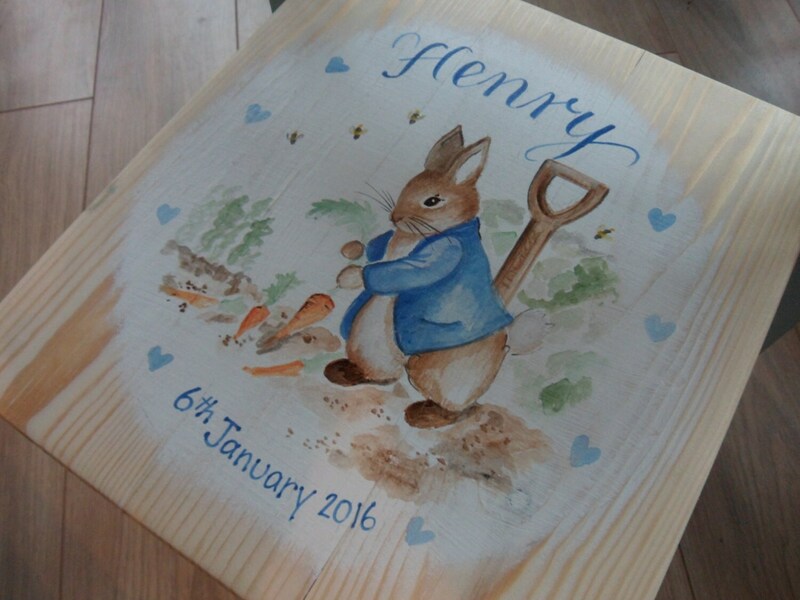 Why not add a personalised fairytale sign like Mr McGregors Garden , Kelly's 100 Acre Wood etc to your order to complete the look? 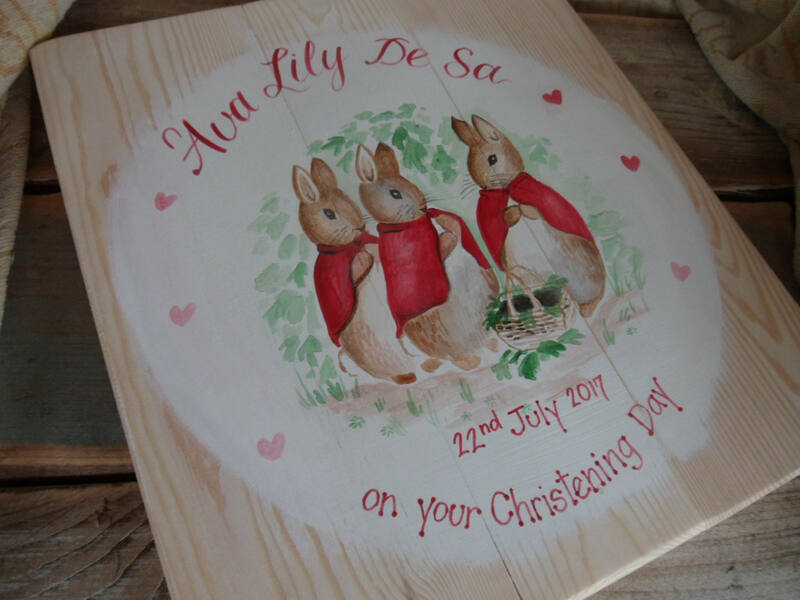 On this listing we have examples of some we have done in the past. 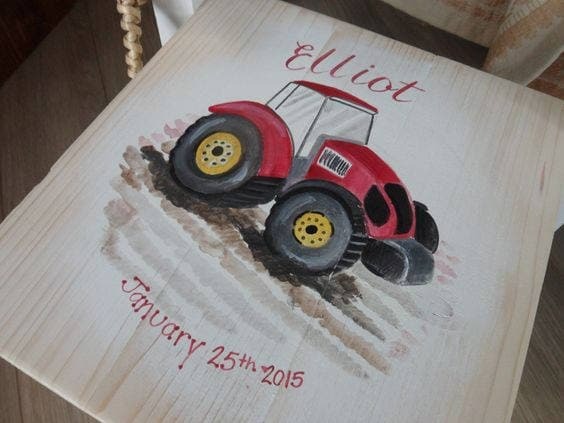 Absolutely gorgeous chair, perfect personalised gift for a little one. Gift recipient was blown away by it and the quality is superb. Thank you so much. 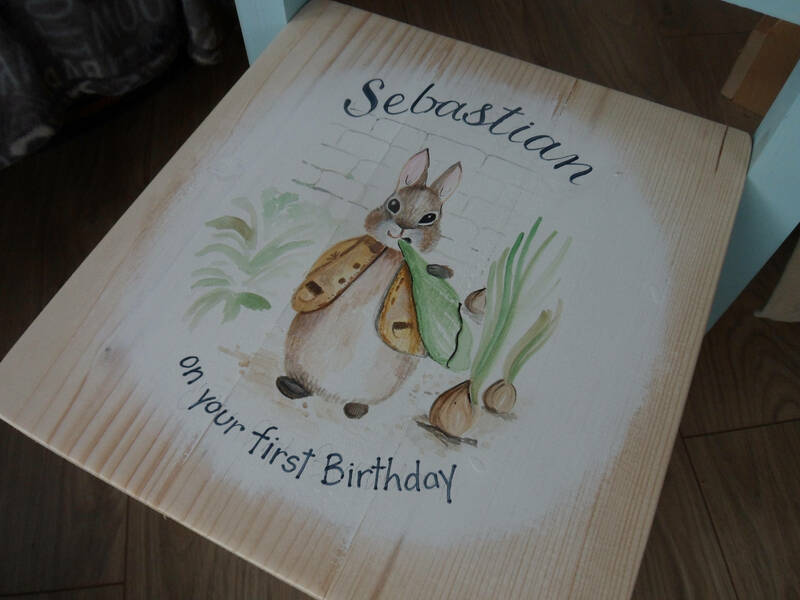 The chair is just beautiful and looks so lovely in my baby's room. They kept in touch to let me know when it would ship. Would highly recommend.